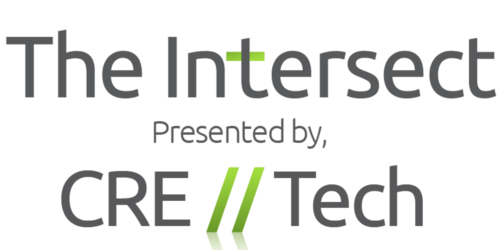 One of the most anticipated industry events is coming up on October 22 in NYC; The Intersect by CRE // Tech. We had the opportunity to chat with founder, Pierce Neinken, about we can expect at the upcoming event. To register for the NYC event on October 22, click here. Tell us about The Intersect by CRE // Tech. CRE // Tech is working to promote awareness of emerging and innovative commercial real estate (CRE) technologies. It's volunteer driven, professionally produced and backed by industry leading sponsors. "The Intersect" is our global symposium, happening three times a year in SF, NYC and London. How has the event grown since inception? We started in San Francisco in 2013 with 20 technology groups. At the upcoming event in NYC on Oct. 22nd we'll have over 60 technology groups represented. What can we expect at the event on October 22 in NYC? 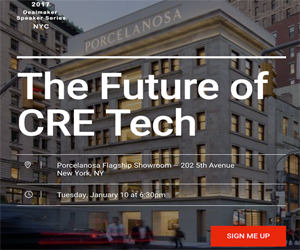 This will be the world's largest symposium on emerging and innovative CRE Tech. It'll be the same casual environment which allows for candid conversations about how technology is changing the industry. At the upcoming event there'll just be more to talk about! Anyone in the commercial real estate industry interested in learning about how technology is going to change the way the industry functions. Who are you most excited to see/hear from? It's the groups I haven't heard much about that I'm most excited to see. This event has always been about learning something new. Every time we do this I learn about new ways technology is changing our business. I love that. What makes you most proud of the brand you've built? It's now a community driven experience. People all over the US, and now the world, are coming together through CRE // Tech to build a bigger conversations. I love how it's bringing people together.